Renault has reports that over 25,000 bookings have been registered for its new entry-level car in India, the Kwid hatchback. The car was launched in India on September 24, 2015 and one can even book the vehicle through an innovative Kwid app. It's the first time in India that an app has been launched specifically for prospective car buyers. The app allows you to take a virtual tour of the car before you book it. Renault says that the car has not only got a tremendous response in urban areas like Delhi, Mumbai, Pune but also the two and tier three cities like Gauhati, Bhopal, Raipur, Ranchi and many more. The deliveries will start from next week and the car will be available across all Renault dealerships in India. 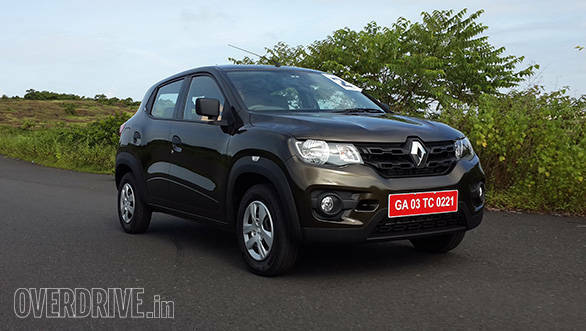 Under the hood, the Renault Kwid gets a 799cc 3-cylinder DOHC motor producing 54PS of power and 74Nm of torque. With a claimed mileage of 25.17kmpl, this is India's most fuel efficient petrol car. Priced at Rs 2.56 lakh (ex-Delhi) for the base trim, the new Renault Kwid competes with the likes of the Maruti Suzuki Alto 800 and Hyundai Eon. Sumit Sawhney, country CEO and managing director, Renault India Operations, said, "The Renault Kwid has created a huge excitement since its launch and we are thrilled with the response it has received just at the on-set of the festive season. The Indian consumer has shown tremendous confidence and trust in (the) Renault brand, the initial response has been very exhilarating and the bookings are constantly increasing. We are witnessing remarkable footfalls in dealerships across all regions since the launch of Renault Kwid. The innovative Virtual Showroom and the Renault KWID app have received a tremendous response across India."